Reflections Wolf Paint by number kit includes everything you need to paint this outstanding picture. 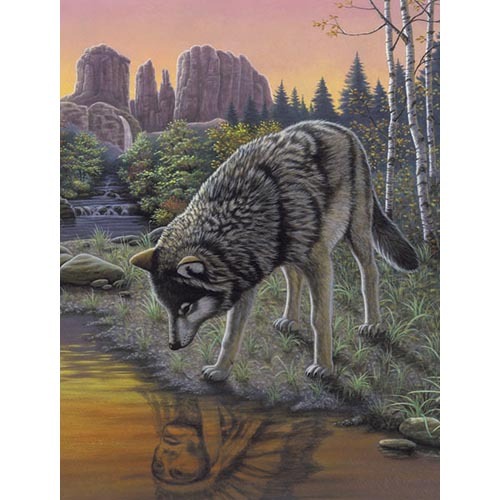 The picture features a Wolf gazing into a stream and seeing the reflection of a Native American Warrior. The Kit includes, 1 Paint Brush, 7 Acrylic Paint Pots, 1 Preprinted Artist Board and 1 Preprinted practice sheet. Makes a wonderful Wolf gift, recommended for ages 8 and up.